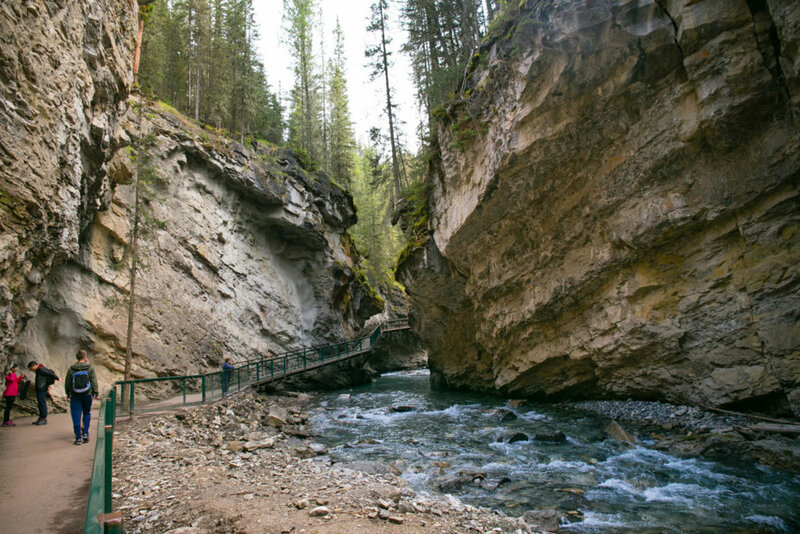 Our day started in Johnston Canyon, a family-friendly hike on a boardwalk along and over the river in a beautiful canyon. 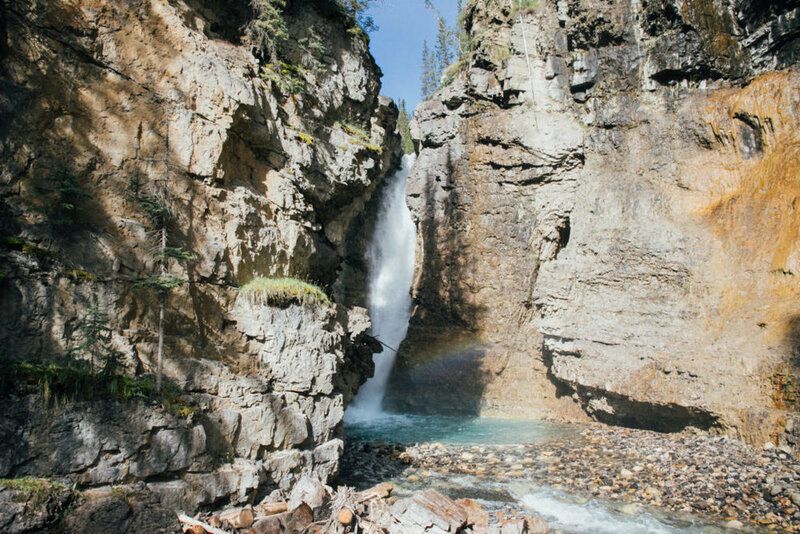 It is a little over 30 minutes from the Banff National Park East entrance. The drive there on Highway 1A is smooth and very scenic. While Johnston Canyon has a decent sized parking lot, it does fill quickly so I would recommend arriving around 8 or 8:30 AM. It is only 1 mile to the Lower Falls and 1.5 miles (.5 from Lower Falls) to the Upper Falls. Roundtrip for 5 miles with all the stopping and picture taking was about 2-3 hours. You can go another 1.5 mi past the Upper Falls to the Ink Pots, but we didn’t go that far. After our hike we had lunch at the restaurant at the start of the hike. It was nice, decent food and service, and just what we needed before our next destination: Moraine Lake. Moraine Lake is just 7 miles away from the more popularLake Louise, however I enjoyed Moraine Lake more because of the heigh you could get over the lake. Parking was full, but it wasn’t too hard to find with people constantly coming and leaving. We did the quick 0.5 mile hike to the viewpoint from the parking lot. You can either take the path on the back side or climb up the pile of rocks up the front (aka Rockpile Hike). While this isn’t an easy stroll, it is a fun and pretty quick climb on a pile of boulders. Another options is to just view the glacial fed lake from ground level where all the logs are, but I highly recommend going to the top. At the top you can climb all over the rocks and get a great view! See other guides in Canada guide on Emerald Lake and other spots in Banff National Park.